From this example, (and there are many more) it is obvious that Master Linji did not hold with forcibly retaining his sayings in the mind. The teaching of Hakuin signifies a major deviation from the Linji tradition of Chinese Ch’an. 2) The Meiji Restoration of 1868 saw the development of a rabid Japanese nationalism that coincided with a rapid modernisation drive for the Japanese nation. Part of this policy was a deliberate ‘distancing’ of Japanese culture from its obvious Chinese origination. This was achieved by denigrating anything perceived to be ‘Chinese’, and the emphasis upon a mythological preference for Japanese cultural origination. This included the recognition of Shintoism as the official (and truly ‘Japanese’) State religion, and the demonising of Buddhism as a ‘foreign’ and therefore ‘corrupting’ influence on Japanese cultural development. As a consequence, the Rinzai and Soto Zen traditions dramatically altered their practices and interpretations of the Buddha’s teachings, and made their approaches to spirituality more like Shintoism – with its worship of the Emperor and unquestioning support for the Japanese government and all its policies – including racialised rhetoric and warfare. This time period saw the Rinzai and Soto actively deny their Chinese cultural roots, and support the government’s anti-China policies. This coincided with the Rinzai and Soto Zen traditions ‘abandoning’ the Vinaya Discipline for ordained monks and nuns because it was viewed as both ‘Indian’ and ‘Chinese’, and therefore ‘un-Japanese’ in nature. This abandoning of the Vinaya Discipline marks a significant deviation of the Japanese Zen tradition from its Chinese Ch’an origin. Removing the crucial ko-an element from the Soto Zen tradition signifies a major deviation of this Japanese school of Zen from its Chinese progenitor. Previous Post: What is a Police Community Support Officer (PCSO)? Thanks for your article, I appreciated it. I was wondering if you could point me in the direction of a book that further explores the differences between Zen and Ch’an? As far as I am aware, there are no books in the West that cover this subject. This is because Western academia and popular Buddhist publications conflate Japanese Zen with Chinese Ch’an – privileging the former over the latter. However, within Chinese and Japanese languages sources, the differences are obvious. The reasons for this misrepresentation are historical are numerous. Certainly in Charles Luk’s Empty Mind, Master Xu Yun (1840-1959) certainly disapproved of Japanese Zen – but then he had just lived through the Japanese atrocities committed in China during the 1930″s and 1940’s. Brian Victotia:s Zen at War conveys everything wrong with certain aspects of Japanese Zen. On the main Richard Hunn site I have translated more articles in a series entitled Zen and the West, etc. That’s interesting. I’ll check out those articles, Empty Mind and Zen at War. So there isn’t any Western academic analysis on the differences between Zen and Ch’an or research into the reasons for the conflation? As a student considering studying a Masters degree in Buddhism in the next couple of years, this could be some fruitful ground for a dissertation. Charles Luk (1898-1978) has written many books that explain the Chinese Ch’an tradition – but his publishers in England insisted on referring to his three main volumes as ‘Ch’an and Zen Teaching’ because they were concerned that books about Chinese Buddhism would not ‘sell’. Luk did not have time to write about the differences between the Ch’an and Zen traditions, but his disciple Richard (1949-2006) lived in Japan for over a decade, and continuously spoke to me on this subject. However, as I am Anglo-Chinese, and as my family in Hong Kong directly encountered Japanese ‘Zen’ in the form of mindless violence and massacres – it is obvious there is something very wrong. US Cold War rhetoric privileged a Nationalistic Japan after WWII, and marginalised Chinese culture. Today, as far as I am aware, I am the only academic covering this subject for journals, books and magazines, etc. I really appreciate this, Adrian, thank you. 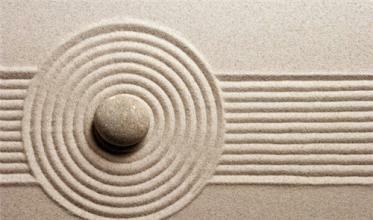 Will, you may be interested to know that Japan has two broad approaches to Zen teaching. Oene is ‘International’ Zen designed only for foreigners, whilst the other might be termed ‘indigenous’ Zen and is generally only taught to ethnic Japanese. The former diverges widely from the ltter in interpretation of Zen literature and practice, whilst the latter can have a reaonably high content of Chinese Ch’an. This segregated approach is not found in genuine Chinese Ch’an which treats all practitioners exactly the same regardless of ethnic origin. I just finished reading Zen in the West Part 1. My issue as someone who wants to continue to practice is this: how am I to distinguish between the legitimate advice and guidance from the illegitimate? I have not read D.T Suzuki, so his thoughts do not (consciously, anyway) influence my practice. Would it be best to stick to the writings of the various masters, like Dogen for example, rather than taking some guidance from the Three Pillars of Zen? This probably appears naive, but how am I to continue to learn about a legitimate Buddhism when I do not trust my ability to distinguish between “World Zen” and Zen, and Zen and Ch’an. Who do I read, or to whom do I go? Also, are you a practicing Buddhist? Yes – my background is Chinese Buddhist. I would suggest reading Charles Luk’s Ch’an and Zen Teachings Bolton I, II and III. This not only conveys Chinese Ch’an, but also the legitimate Zen usually only taught to Japanese people in Japan. Ch’an Master Xu Yun (1840-1959) is considered the last great master in China and the world. Japanese Zen masters used to send their respects to him via Charles Luk. I’ll get on that. My reading list has expanded quite considerably this afternoon!